Rich Roll is one of the legends in endurance sport. Until 40 he was living a crazy life full of drugs, alcohol and what not. He was addicted, and there was no hope for him, but when he hit 40, he decided to change his life from upside down . He realized that he will probably get hit by a heart attack and will for sure not live long if he continues with drug abuse and tons of alcohol, so he decided to change everything speaking of alcohol and addiction. He sets his goal high, and he decided to compete on Ultraman. He stopped consuming drugs, no more alcohol and what is most important he switched his diet. He began eating vegan food rich with nutrients. He says that after two weeks on the vegan diet he experienced an incredible transformation on his metabolism and his body was never better than before. This experience of joy probably has more to do with the drugs and alcohol not being inserted in his body than switching to vegan diet. The human body needs to take the time to adapt to new food regime. In that adaptation period, you may feel worse than before. Personally, I needed 3-4 months to see benefits of vegan diet. I had such huge problems with adjustment, and I can clearly say that I didn’t feel great. But after the adaptation period, great things happen. Your body is getting more nutrients and is not working hard to get them. You can even go with less food than before. The reason for that is that now you are eating a real food and not garbage. Ultraman is an extreme endurance competition that lasts for three days. In that three days, competitors need to finish 2 Ironmans. That means on day one they need to swim 6.2 miles in the ocean, 90 miles cross country cycling, on day two is a 170 miles bike race and on last day is a 52-mile double marathon run. The race is limited to only 35 participants who are carefully selected and invited to compete. Rich Roll in only two years managed to get the invitation and compete in the Ultraman. Back then he didn’t even own a bike. After that, he was a regular competitor on Ultraman, and in 2009 he set up many personal records as well as some all time fastest times. He set up a record for a sixth fastest swimming time of all time. He was good at cycling and set up a third fastest time and take a lead of 10 minutes on day one. On day two he had a bike crash, and at the end, with a broken knee and shoulder injury he managed to finish the race in sixth place. Rich Roll is now a well-known athlete and public figure. He wrote many books on the topic and released some of the cooking books that can help you if you decide to follow his path. I highly recommend his book: “This Cheese is Nuts!” for all that seek recipes and vegan food guide. And for runners, I can suggest “Finding Ultra.” Fantastic book that can help you on your path to achieving your goals. Rich Roll, Carl Lewis, Scott Jurek know what it means fast regeneration. A vegan diet can make your body regenerate faster. Reasons behind this are that most of the vegan food is alkaline and alkaline food will not generate inflammation in your body. 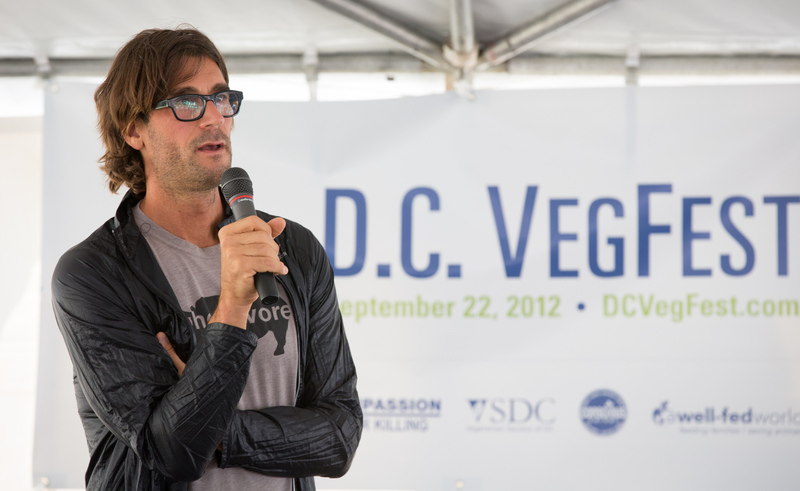 Rich Roll is vegan since 2006, and in 2009 he got rewarded a title of one of the 25 fittest guys in the world. 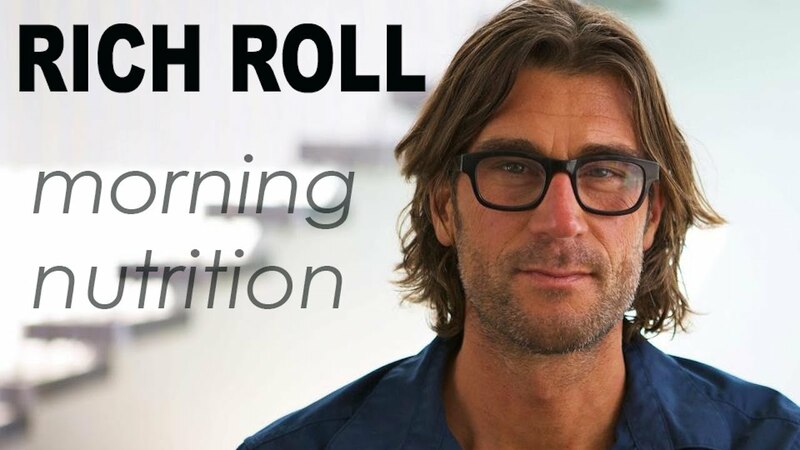 If Rich Roll can do it in his middle years, then it is never too late to start the transformation. Get up, get out and move, change your diet and start living!